Long established Auto locksmith Wirral – We provide emergency auto locksmith services throughout Merseyside, the Wirral, Chester, Cheshire, Warrington, South Manchester, and North Wales – 24 hours a day, 365 days a year. It can be difficult, and somewhat embarrassing, to be locked out of your car – especially if you can see the keys inside! While it may be tempting to force your way in, this can often void your warranty and result in a costly repair bill. We understand your urgency! At North West Emergency Locksmiths we offer a rapid dispatch of an emergency auto locksmith Wirral, so you can get back on the road as quickly as possible. Our aim is to have a professional locksmith with you within one hour. Our highly-skilled and experienced auto locksmiths will get you back in your car, without causing any damage to your vehicle. Our broad service area means that you’re always covered with North West Emergency Locksmiths, no matter what. We are a specialist auto locksmith Wirral, with a diverse knowledge of vehicle locks and replacement key moulding. We can also program a replacement digital keys for your car or van. Ford, Audi, Nissan, Mercedes, BMW, Peugeot, Vauxhall, Renault, Volkswagen, Seat, Skoda, Saab, Toyota, Mitubishi, Mazda, Lotus, Lexus, Kia, Jaguar, Land Rover, Honda, and many more. 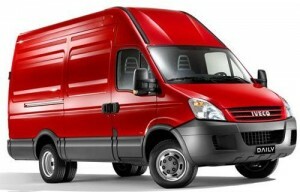 Volkswagen Transporter, Vauxhall Vivaro, Renault Trafic, Nissan Primastar, Citroen Dispatch, Peugeot Expert, Fiat Scudo, Mercedes-Benz Vito, Ford Transit, Mercedes Sprinter, Peugeot Partner, Citroen Berlingo, and many more.